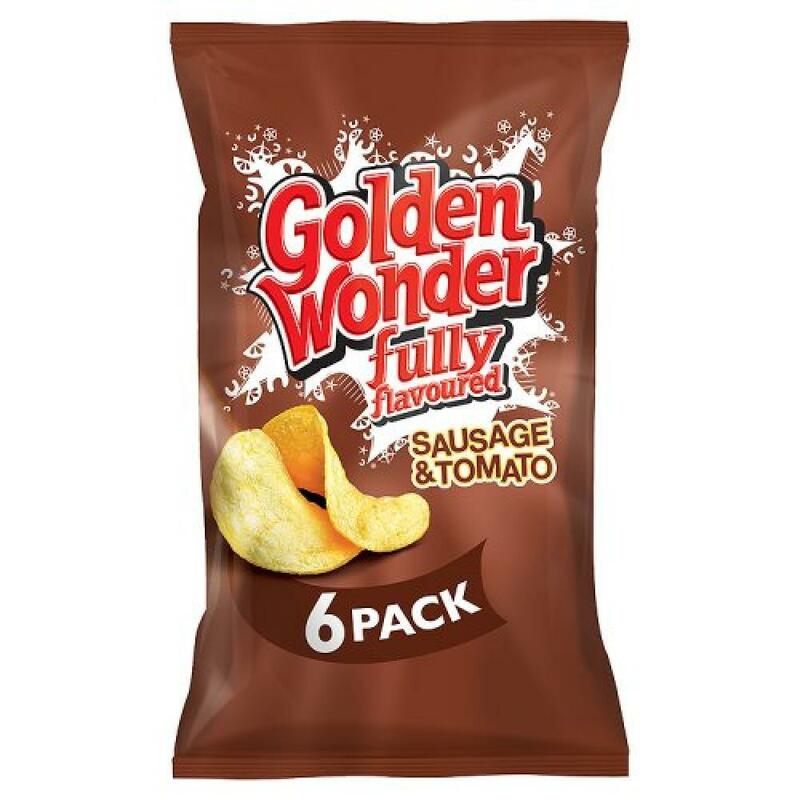 Golden Wonder have long been delighting snacks fans with their unusual and often eccentric flavours, and this Golden Wonder Sausage & Tomato Crisps 6 Pack is no exception. Deeply flavourful, utterly delicious, and packing a real punch when it comes to the condiments generously sprinkled onto the potato crisps, these are a real crowd pleaser. Perfect for your packed lunch, and ideal for the whole family.